While finding a good, even great unlocked Android smartphone at anywhere between $150 and $250 is relatively easy if you know what to look for and where, sub-$100 handsets are an entirely different story. Google’s Android Go program is a pretty safe bet, as long as you can live with a few... dozen compromises, but the non-Go Nokia 2 may well be the best ultra-low-cost mobile device officially available stateside. Don’t get us wrong, the October 2017-unveiled 5-incher is far from perfect. But if you hurry, you can purchase it from B&H Photo Video at a ridiculously affordable $85 with full 4G LTE support for GSM networks nationwide, AT&T and T-Mobile included. We’d be remiss not to mention the Nokia 2 actually fetched 5 bucks less at one point a few months back, currently selling for a full $99.99 however through both Amazon and Best Buy. Bizarrely enough, Amazon still has a separate $84.99 listing, needing between one and three months to deliver phones at that heavily discounted price though. It’s obviously not worth waiting that long for additional $5 savings, especially as B&H lists the white model as discontinued. 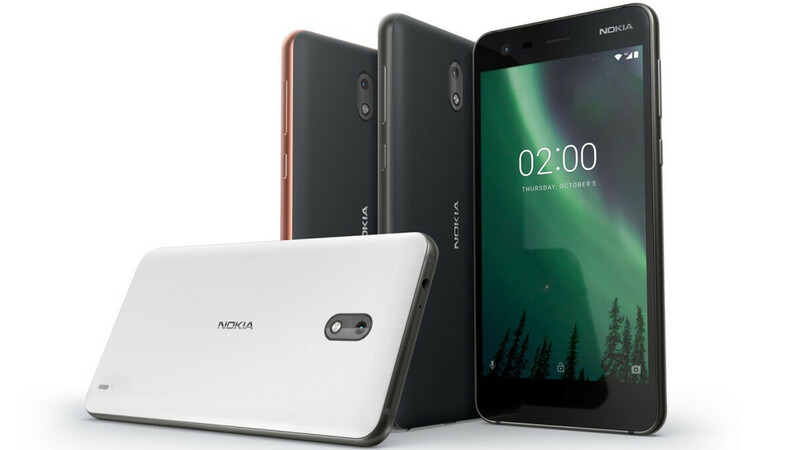 You can only get the $85 Nokia 2 in black therefore, powered by a gargantuan 4,100 mAh battery, as well as a modest Snapdragon 212 processor and 1GB RAM. Technically, this is not an Android Go phone, but you are nonetheless promised a “pure, secure and up-to-date” software experience, with a stable Oreo update presumably right around the corner, and yes, even Pie goodies on the table for further down the line. See Nokia, this is why you should be doing business in the US. There's a market for affordable Android phones. This phone lags just going from black screen to clock when you push the power button. This is the worst phone I have ever had. I would honestly take my very first Android over this POS. It lags in every single aspect. You should watch it react when it gets a phone call. The screen goes blank and it takes a while just trying to receive the caller ID. Terrible phone. You are better off with a flip phone. Moto tools Nokia in budget phones.